I NEED TO...manage my IT asset lifecycles. Total asset management from start to finish. From hire to retyre, automation is key to a successful ITAM strategy. You could be losing money and exposing your organisation to risk. It's time for Ivanti. If users are the heart of your organisation, then your assets are the lifeblood that keeps them going. One can't survive without the other. For users to be able to perform at their peak, they need the right tools to get the job done. IT asset management—knowing the status of your IT assets from the moment they're purchased to the time they are disposed of, is critical to reduce costs and boost productivity. 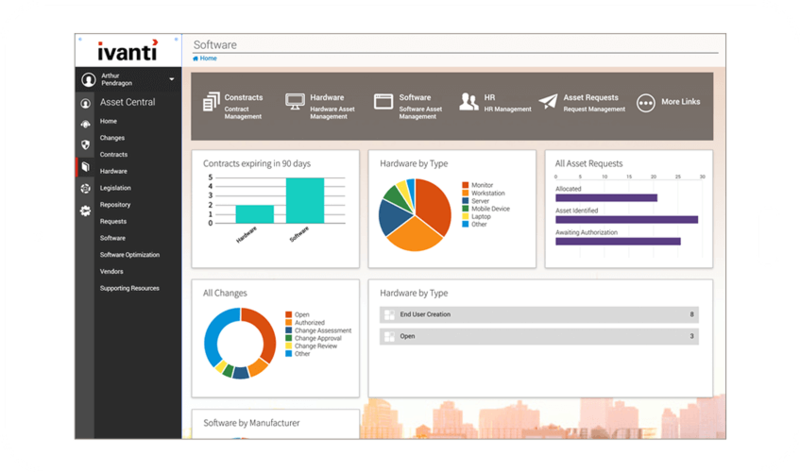 Plus, you can easily manage vendor contracts and warranties, keeping you informed for better planning and budgeting. Servers, desktops, laptops, printers, and software—don't forget about the software. No matter the size of your organisation, effectively manageing IT assets your employees use is a challenge. Having a clear and actionable path for events like onboarding and offboarding ensures your assets and employees are their most productive. Better information means you can make better decisions on-the-go. Import and track warranty, lease, and contractual information automatically. Gain insight about what assets are available and on hand to ensure it's not sat on the shelf. Easily discover what hardware must be purchased, updated, and maintained in order to keep costs down and your assets in good health. Supply end users the right tools at the right time, reduce systems downtime, and schedule hardware refreshes to budget appropriately. Discover and inventory new purchases along with owned hardware and software so you know what you have and where it is—from acquisition to disposal. Your old way of inventorying assets is both time consuming and chaotic. Updating a spreadsheet with the details of every piece of hardware and software your organisation owns can be a full-time job. Yet it doesn't deliver the needed visibility to forecast when to update, repair, or buy new assets to ensure IT can keep pace with the growing, changing demands of the business. When you have a solution that handles everything you need to control your assets from purchase to disposal, you avoid feelings of helplessness and lagging behind. Manage complicated server licence models. Why not adopt a solution that tracks the lifecycle of every single asset from the moment you roll it out? Imagine what you can accomplish when you don’t have to do it all manually. 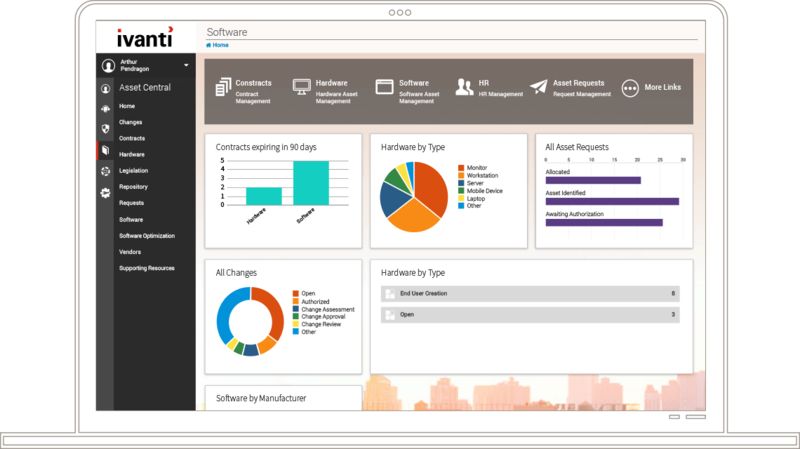 The IT Asset Management Suite provides solutions that can be tailored to your needs and optimise your IT assets. A process engine is the backbone of Asset Manager for Endpoints lifecycle management. This engine encompasses processes like onboarding and offboarding, cheque-in and cheque-out, procurement, and disposal. Whether you're using our solutions or products from Microsoft, Service Now, Remedy, or other vendors, Asset Manager provides the vital connexion between discovery, servers, endpoints, and agreed levels of service to furnish all the data you need. Manage all assets regardless of location and improve data-input accuracy. Scan company assets as they arrive—or at any stage of their lifecycles—and sync with existing data. View your entyre ITAM landscape displayed in an appealing, infographic-style dashboard. Gain intelligent visibility into ROI, then take action from anywhere. Obtain direct input from your vendors, including PO numbers, warranty information, etc. Gain accurate data from the get-go.